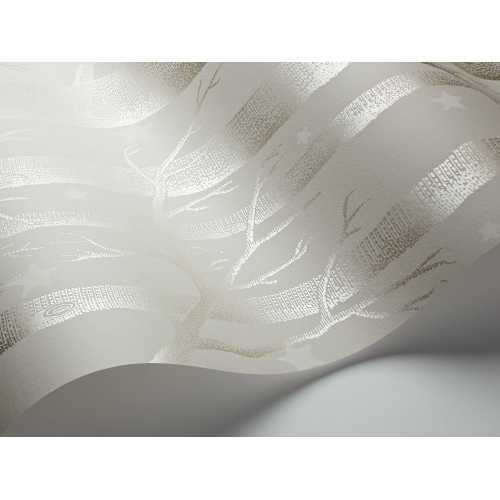 Combining two of Cole and Son’s most mesmerising and enchanting wallpaper designs into a single paper, this Whimsical Woods and Stars design is a beautiful choice for many spaces in the modern home. The Whimsical Collection is a celebration of classic childhood stories and fairy-tales and the whole range is both enchanting and magical. 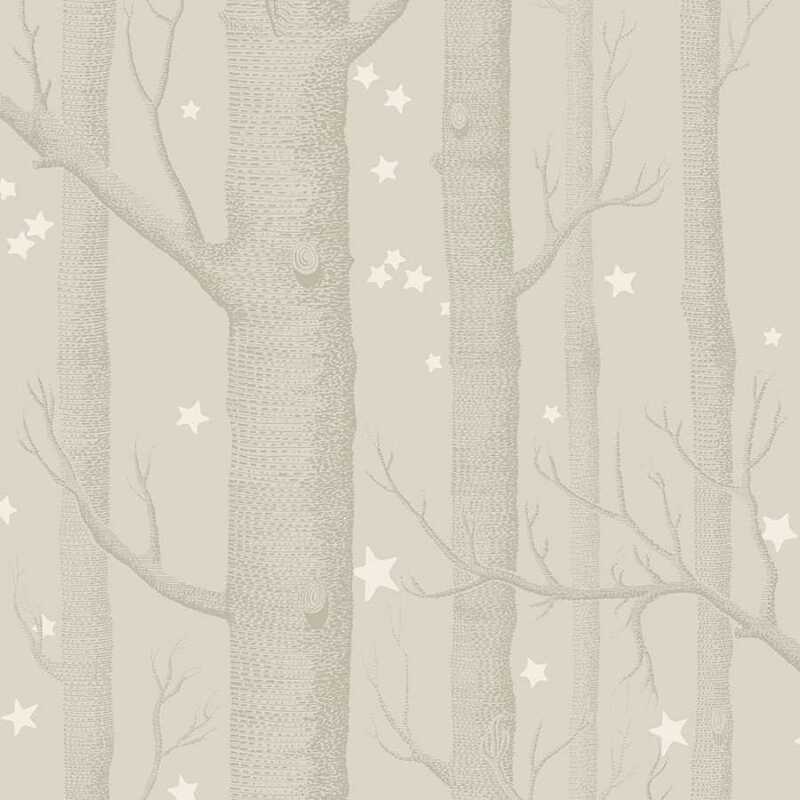 The Whimsical Woods and Stars Wallpaper combines the Woods and Stars designs that Cole and Son has already released and creates a true fairy-tale landscape. In this 103/11048 colourway a neutral background is home to simple white stars. Despite the combination of designs, this Whimsical Woods and Stars Wallpaper can be quite a minimalist choice and it simple adds a little more character to any space it calls home. 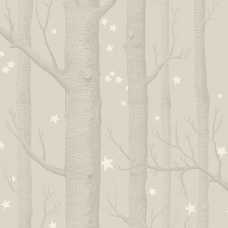 Each roll of Whimsical Woods and Stars Wallpaper measures 52cm in width and 10 metres in length. Each roll also has a half drop pattern match and 72cm pattern repeat. The authentic detail of the silver birch trees contrasts with the simplicity of the stars and the overall effect is both mesmerising and charming. If you would like to find out more about the designers behind this enchanting wallpaper and would like to view the rest of their collection, please visit our dedicated Cole and Son brand page.